1210.00 sqft. - 1580.00 sqft. Sunita Geet Skyville is a residential project by M/S Sunita Construction Co located at Bhanpur in Bhopal. The key amenities of the project include . Owing to its location, facilities such as schools, hospitals, ATMs, and markets are available at a close distance from Sunita Geet Skyville. An extensive network of public transports in the close vicinity makes the project accessible. Bhanpur is an upcoming locality in Mandsaur district of Bhopal, Madhya Pradesh. The Bhanpur town is south of other historically important places Hinglajgarh and Navali in Mandsaur district. It has a museum depicting the popular arts of Mandsaur. Illustrated oil paintings are also found around Bhanpura. At the museum, art from the Gupta era (4th-5th century) to the time of Pratiharas and Parmaras is depicted, and well-sculpted portraits of Uma-Maheshwar, Kartikeya, Vishnu, Gavoi and Nandi are displayed. It is also a popular tourist place in Bhopal with two sides Hill and Pilgirm Place called BadaMahadev which has waterfall of about 70 m height. ChotaMahadev is very beautiful place located on hill. Gandhi Sagar Sanctuary in the vicinity is the biggest dam in Madhya Pradesh Museum at the Bhanpur where you can see the Palace of King,and many antique sculpture, and hidden caves in the “well”. Also, Kethuli Jain temple is famous for 500 years old attractive murthi of Bhagwan Parshwanth. The nearest railway station is Bhopal Bairagarh Railway Station. Raja Bhoj Airport is at brief driving distance. The presence of basic establishment has transformed this locale as one of the prime residential destination of Bhopal. 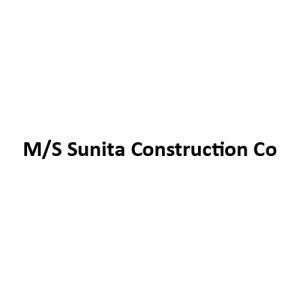 M/S Sunita Construction Co is a young group of dynamic professionals and experts who believe in perfectly balancing practical aspects of a project without compromising on aesthetics. After successfully completing several projects, the team believes that building long term relationships with customers is the key to growth and success. Known for their smart designing and planning skills to create maximum space and value for the home owners M/S Sunita Construction Co Homes have won trust of customers and associates through transparent dealings and fair pricing policies. Their main aim is to satisfy the customer demands & delight the customer with their unique apartments. There strengths are their high skilled technicians, hard-working labourers and well trained architects.